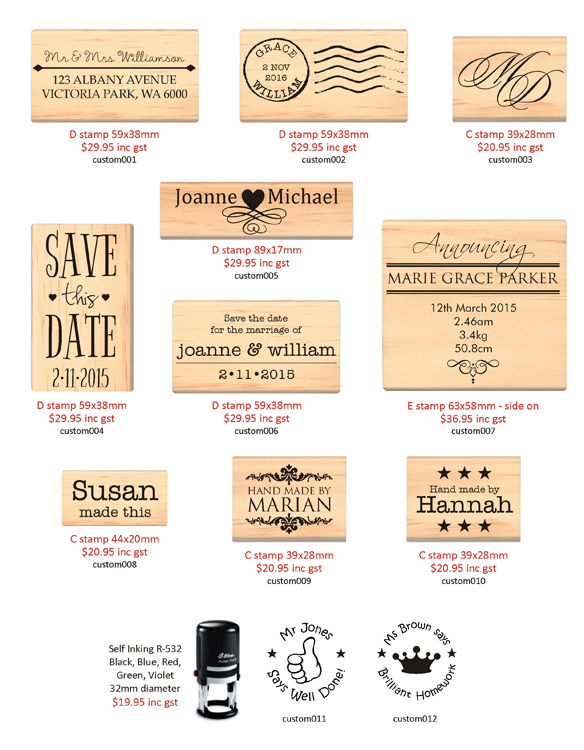 Personalise woodmount stamps for yourself or for a gift! Any alterations to the original design will incur charges. First two proofs are free, proofs thereafter $5 each.